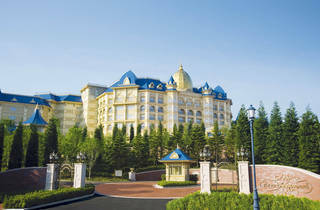 One of the three hotels located within Tokyo Disneyland Resort in Maihama. 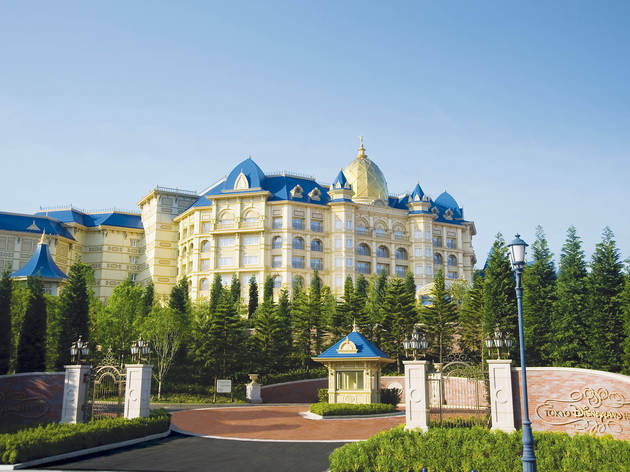 The Disney World is evident in every corner of the hotel, making you feel like you're still immersed in the dreamy enjoyments after a day of entertainments at the Park. Your room's wallpaper features cute Alice in the Wonderland, Peter Pan, or the like, and amenities in the bathroom and muddlers in the drink bar host Mickey Mouse and their buddies in hiding for surprise. Listen carefully to announcements aired in the elevator, too!